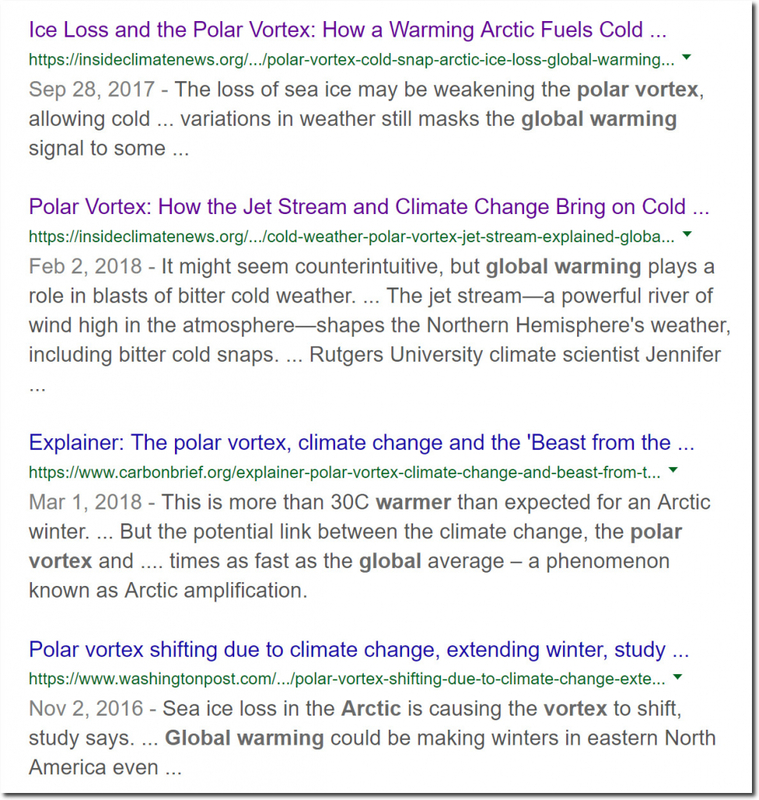 Had Exxon only listened to climate scientists 40 years ago, they could have saved us from global cooling and the coming ice age. In 1974, the Polar Vortex was caused by global cooling. But now it is caused by global warming. Because … settled science and basic physics. The one thing we know for sure about climate, is that climate scientists have absolutely no clue what they are talking about.